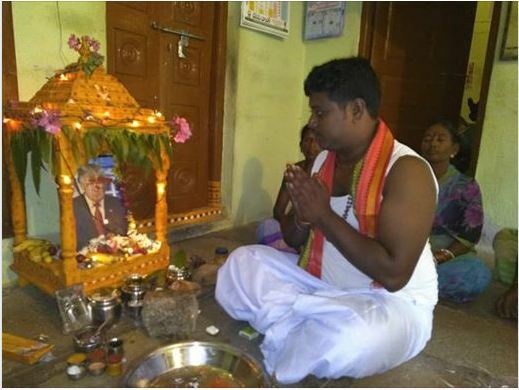 Indian people are well known by their beliefs in worshipping different idols but this man has gone a step further from that as he believes US President Donald Trump is god. 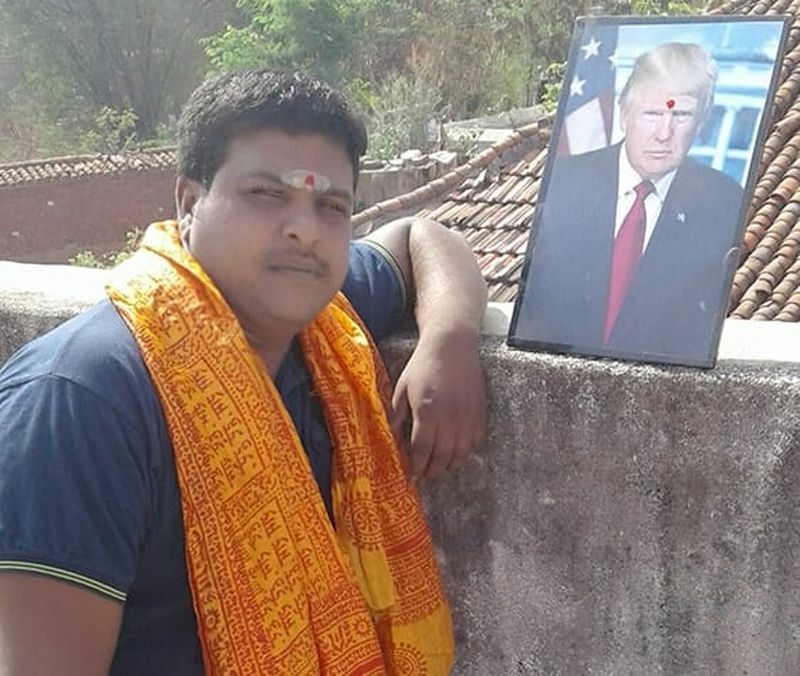 For the past three years, 31-year-old Bussa Krishna has been in belief that Trump is a god and for that reason, he has been carrying around Trumpsâ image and praying before it. As that is not enough for a fellow human being like Donald Trump, Krishna even spills blood on the image as his part of offering. 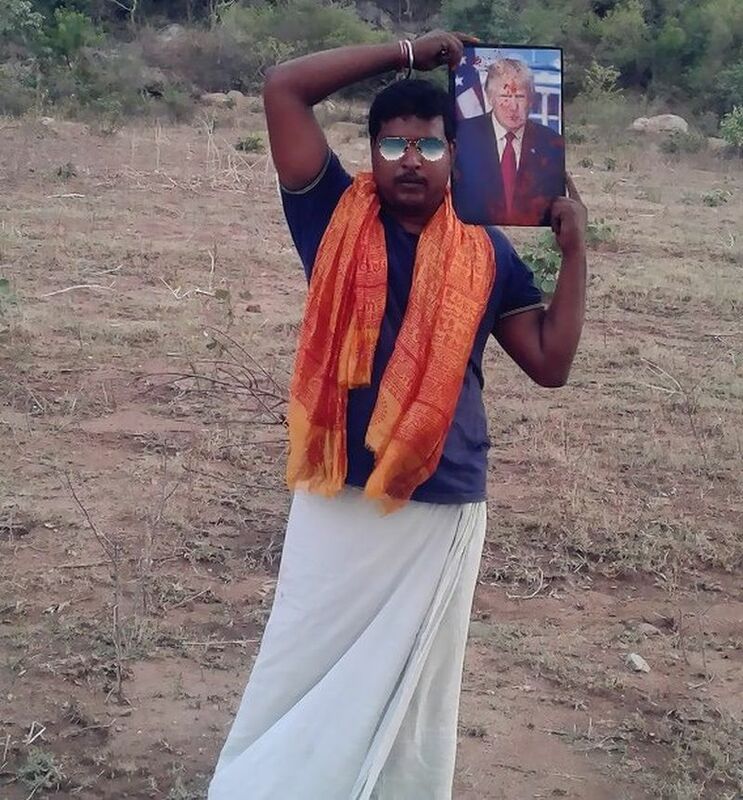 According to reports thatÂ faceofmalawi reporter has seen online, Krishna has a Facebook account with the name Krish Raju where he usually posts videos showing him doing all sorts of praises to Trump. However, some of his Facebook friends believe Krishna needs a special medical treatment or that he does all this to please the president so could attain a green card. Checking on an article by HindustanTimes, this reporter gathered that Krishna told reporters that he does not bother to mind when fellow villagers advise him to seek a psychologist. “I told them ‘I don’t require any, maybe you should go, because he is my God and I am not bothered about stuff others say’,” he said. It has also been gathered that Krishna has a dream of building his own temple in three to six months coming where Trump would be praised in. 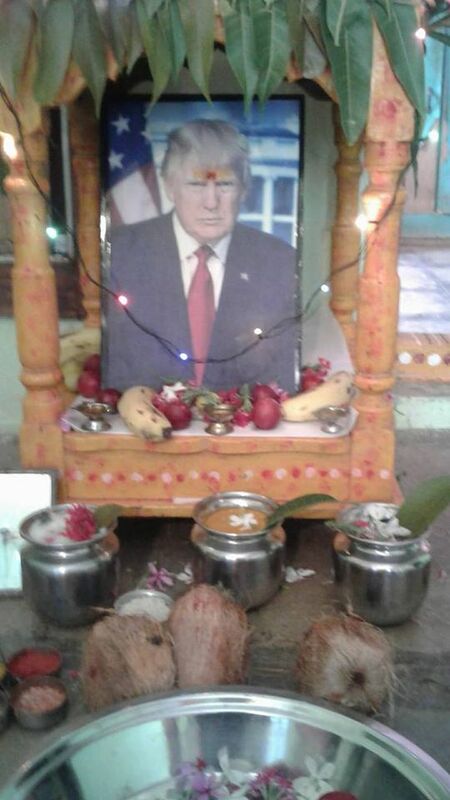 However, online reports claim Trump hasnât yet commented on the news and itâs doubtful if he ever heard of a person in India who praises him as a god despite Krishnaâs claims that the 45th US president once tweeted about him.